I found this splendid specimen under my car right after I parked. It could have been squashed... 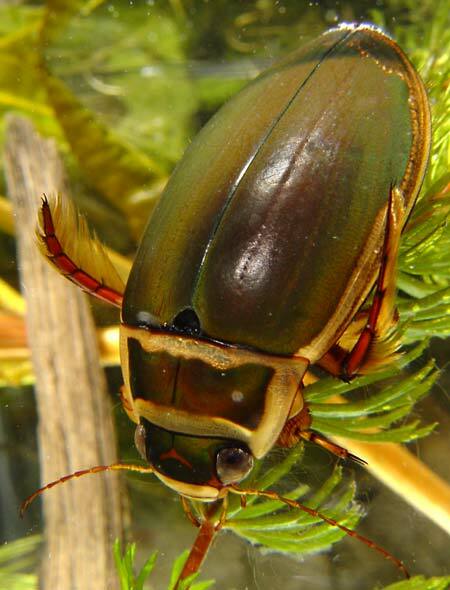 In soft light in an aquarium it is dark brown, almost black, but in stronger light the green metallic shining is visible as on this picture. The smooth wing cases and the broadened parts of the front legs indicate it's a male.